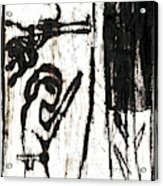 Assassin After Mikhail Larionov Black Oil Painting 10 iphone x case by Artist Dot. Protect your iPhone X with an impact-resistant, slim-profile, hard-shell case. The image is printed directly onto the case and wrapped around the edges for a beautiful presentation. Simply snap the case onto your iPhone X for instant protection and direct access to all of the phone's features! There are no comments for Assassin After Mikhail Larionov Black Oil Painting 10. Click here to post the first comment. Art with and assassin. One with a gun the other holding a knife. 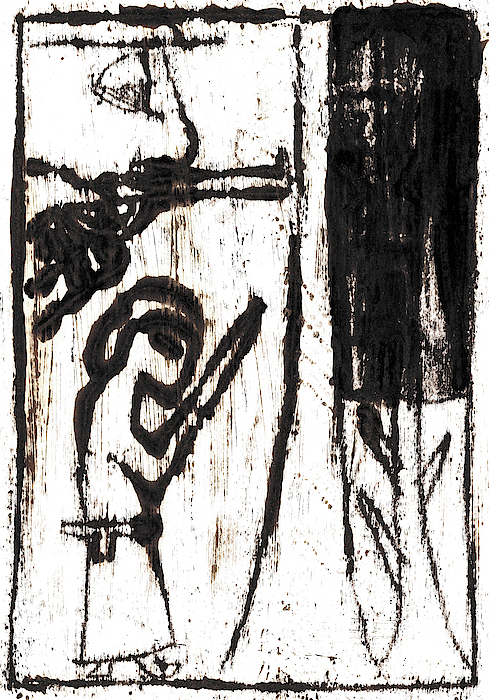 A black oil painting of assassins, after Mikhail Larionov. Drawn in oil paint, using a pencil to transfer the image in black oil paint, so is an oil transfer drawing. 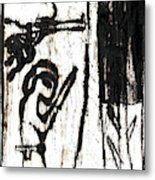 Guns and knives in paintings. Dark black monochrome oil paint on white paper. Sometimes spelled Michael or Michel. A Russian avant-garde artist. Similar to some outsider or naive art. After artists of the avant-garde art movement. 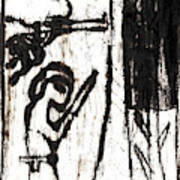 Art by Edgeworth of the Black Ivory Printmaking Club, Muswell Hill, London.